Bouncin' Buddies has been locally owned for 11 years. Safety is our number one concern. All of our inflatable units are state certified and safety inspected. We have been the number one company many schools use for field days. We have provided churches and other social organizations with inflatables and concessions. 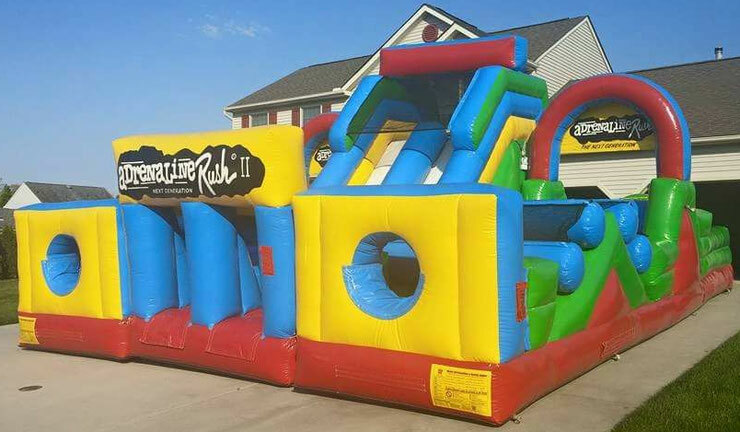 We offer a wide variety of bounce houses, slides, games, water fun and concession rentals. Our main goal is to provide customers with inflatable fun for any event. Do you have a field day coming up? How about a summer camp? Look no further! We offer special package deals for all schools in the area. We offer package discounts for any rental of two or more units. The more you rent, the more you save! Just fill out our contact form and we will get back to you! Home parties are our specialty. Let us bring the bounce and fun to your birthday party or event. Our residential rentals are all day rentals. We set up prior to your event and come back to pick up that night after your event ends. All you have to do is have fun and enjoy your event! Our customers' safety and enjoyment are our number one concern. All of our units are insured and state certified. Each year, our units are inspected and certified to ensure that our customers receive the safest bounce houses. We continue to keep our units clean and in great working shape!